Digital media is digitized content (text, graphics, audio, and video) that can be transmitted over internet or computer networks. As such, this multidisciplinary field requires the study of a range of areas from fine arts and animation to graphic design, audio and video, game design, writing, and other areas. Because digital media artists have such a diverse skill set, they can find work in a variety of fields from advertising and public relations to animation to web and graphic design. 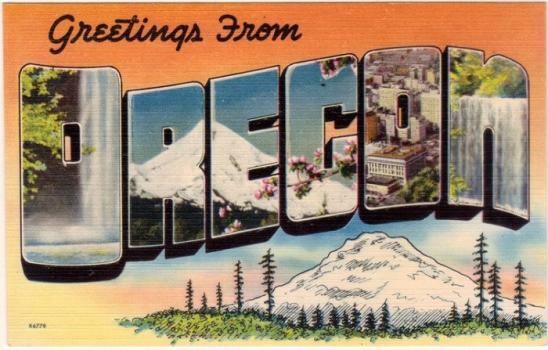 In the State of Oregon, particularly in Portland, jobs in advertising, graphic design, publishing, and web design are fairly easy to find. In addition to promising job prospects, Oregon is home to a variety of colleges that offer degree programs for aspiring digital media artists. Just a few include Pacific Northwest College of Art (PNCA), Southern Oregon State University, and Portland State University. Most of the state’s 60 Title IV Colleges and Universities offer programs for artists and designers, and an impressive number of these offer programs for aspiring digital media artists. Continue reading to find out which schools offer programs and where to find them. Oregon is home to 23,600 professionals working in Arts, Design, Sports, Entertainment, and Media (ADESM) occupations. Digital artists are members of this group. The ADESM population has increased since 2012 when the state was home to 24,120. Salaries are on the rise as well. In 2012, the average salary for Oregon-based ADESM professionals was $48,560. Today, the average salary is $49,820. According to the Bureau of Labor Statistics (BLS), "employment of art and design occupations is projected to grow two percent from 2014 to 2024, which is slower than the average for all occupations, adding about 16,700 new jobs. Employment will increase from about 773,100 jobs in 2014 to about 789,700 jobs in 2024." Further, "projected growth will be due to increased demand for animation and visual effects in video games, movies, television, and on smartphones. As companies continue to increase their digital presence, more art and design workers will be needed to help create visually appealing and effective layouts of websites and other media platforms." The median annual wage for art and design occupations was $43,100 in May 2014, which was higher than the median annual wage for all occupations of $35,540. Because media artists work in a range of industries, employment and salary trends vary greatly. Let’s take a look at trends for some of the most popular industries for media artists. Media and Communications – Oregon is home to 540 media and communications professionals averaging $51,840 per year, up from $50,840 in 2012 when the state was home to 370 professionals in this field. Multimedia Art and Animation – Oregon is home to 830 multimedia artists and animators who earn an average of $63,190 per year. In 2012, the state was home to 640 multimedia artists and animators who earned an average of $60,570. Graphic Design - Oregon is home to 2,760 graphic designers who earn an average salary of $48,520 per year. In 2012, the state was home to 2,670 designers who averaged $47,320. Film and Video – Oregon is home to 360 film and video artists averaging $44,570 per year. In 2012, the state was home to 220 professionals in this field averaging $41,730. It is important to note that many artists and designers work independently. Depending on the industry, these independent artists may earn more than salaried workers earn. For example, according to the Bureau, “Independent Artists, Writers, and Performers” has the highest concentration of employment in the ADESM industry, with an average salary of $70,260 per year. Independent Artists has second highest concentration of employment in the multimedia art and animation industry, with an average salary of $75,150 per year. It has the third highest concentration of employment for photographers, with an average salary of $47,180 per year and the third highest level of employment for film and video editors, with an average salary of $72,290. As mentioned, digital media artists work in so many different fields, you’ll lose cont. This means opportunities can be found all over the state. However, a larger number of opportunities can be found in major cities such as Portland, Salem, Eugene, Gresham, and Hillsboro. Other cities worth looking into include Beaverton, Bend, Medford, and Springfield. Awesome Animation Fact: Tom and Jerry was created by William Hanna and Joseph Barbera for MGM. One of most-awarded theatrical animated series, Tom and Jerry celebrated its 75th anniversary in 2015.